Lesson Plan for Swim 102 available as a single laminated document or download the pdf version for unlimited copies. 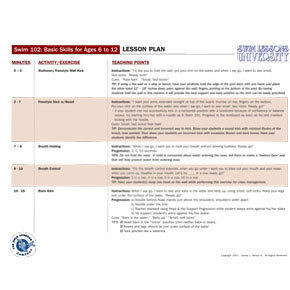 Download your own copy of the Swim 102 Lesson Plan and make unlimited copies. This Lesson Plan is for the Swim 102 instructional video. You can now have at your fingertips the actual lesson plan used by "The Swim Professor himself!" The exact exercises, instructions, cues, and progressions he uses every day for every class he teaches! You will love the detail, and appreciate how practical and easy these lessons are to use! Best of all, you get the lesson plan that Professor Reiser has been developing over the past 25 years, not something that was whipped up the night before class. These lessons have been tested, tried, and proven over and over again! Copying or unauthorized reproduction or distribution of the copyrighted laminated copy is illegal. Criminal copyright infringement, including infringement without monetary gain, is investigated by the FBI and is punishable by up to 5 years in federal prison and a fine of $250,000. As an alternative, if you want multiple copies please purchase the downloadable pdf lesson plan version. The lesson plans are professionally laminated and are very water resistant, however, they are not guaranteed waterproof. They can leak if submerged for any extended period of time. Lessons plans will not be replaced due to water damage. 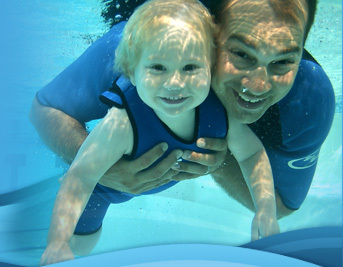 View all Swim Lesson Plans from Swim Lessons University.